Location! Only 3 miles from Anna Maria's sugar sand beaches, this single story 100% maintenance free villa in quiet cul-de-sac, is move-in ready for you to enjoy the Florida lifestyle. Well maintained and clean with beautiful high ceilings. 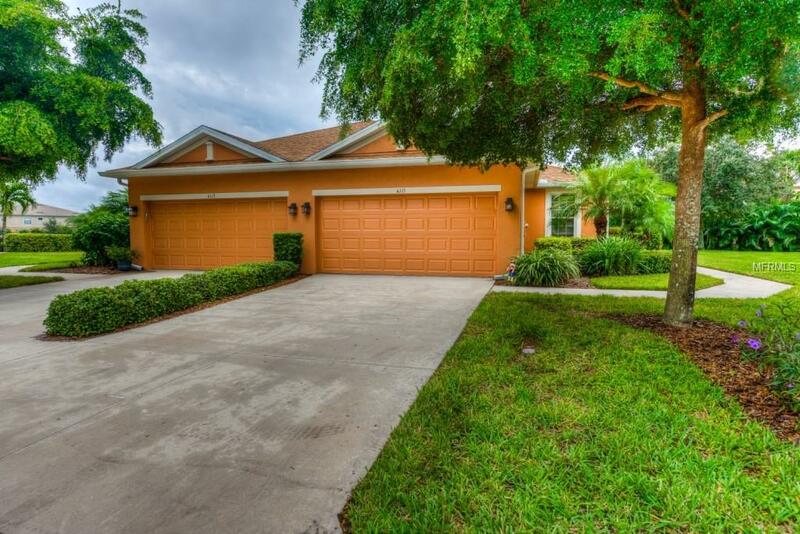 Situated in the highly desired Palma Sola Trace. Lovely "IBIS" model opens to a large living space that is perfect for entertaining. The stunning kitchen features a breakfast bar and all stainless steel GE appliances. The master bedroom and living room boast tray ceilings, both bedrooms feature large walk in closets. Master bath offers a large walk in shower and dual vanity sinks. The Den/bonus room has pocket doors and could serve as a 3rd bedroom. Sip your morning coffee on the enclosed and screened, completely private patio. Or enjoy the lush tropical Resort style community heated lagoon pool, plus a full workout center, kitchen, library and meeting room in the Clubhouse. Close to Robinson Preserve, shopping and transportation. Both Maintenance fees together equal $309.00 per month only and includes exterior painting, exterior insurance, and roof. Gross property tax includes annual CDD fee. Come and view, it will not last long! Additional Lease Restrictions Association Approval Of Renter is Required.